So you want to plan a unique pink candy buffet. We love the gumption, but that’s a lot easier said than done. 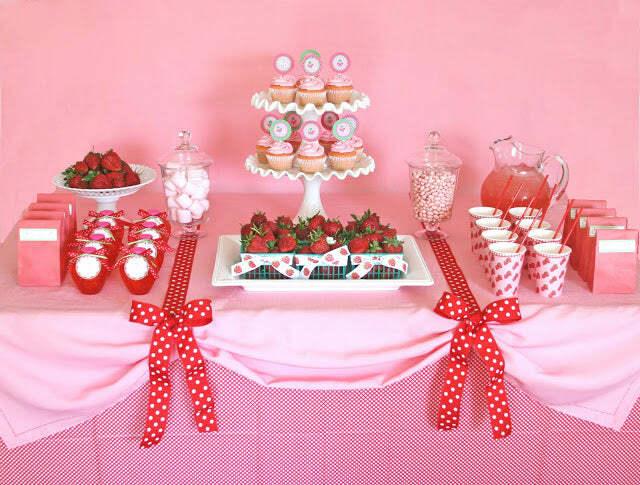 Pink has become such a popular color for candy buffets these days that trying to set yours apart from every other spread on Pinterest has become… challenging to say the least. Luckily for you, challenging doesn’t mean impossible. If you think outside the traditional apothecary jar, there’s a lot of stuff you can do to make your pink candy buffet awesome. To inspire you, here are seven different pink candy buffets that have used creative elements to separate themselves from the crowd. Soda is something you don’t see very often at dessert buffets – which is surprising, considering its pretty much just liquefied candy. We love that Tonia from The Gunny Sack decided to buck the trend by incorporating some bottles of sparkling grapefruit IZZE soda into her candy buffet. The glass bottles work well with her vintage apothecary theme and the highlighter-pink soda really stands out when arranged with candy of the same color. Check out the full spread at The Gunny Sack. Stocking your buffet with pink candy can be difficult. The planners at Project Pink found a neat workaround by renting a cotton candy machine and adding bouquets of pink cotton candy to their table. The sticks helped add volume to the buffet and, we assume, to the party guests’ waistlines. Check it out at The Flirty Blog. 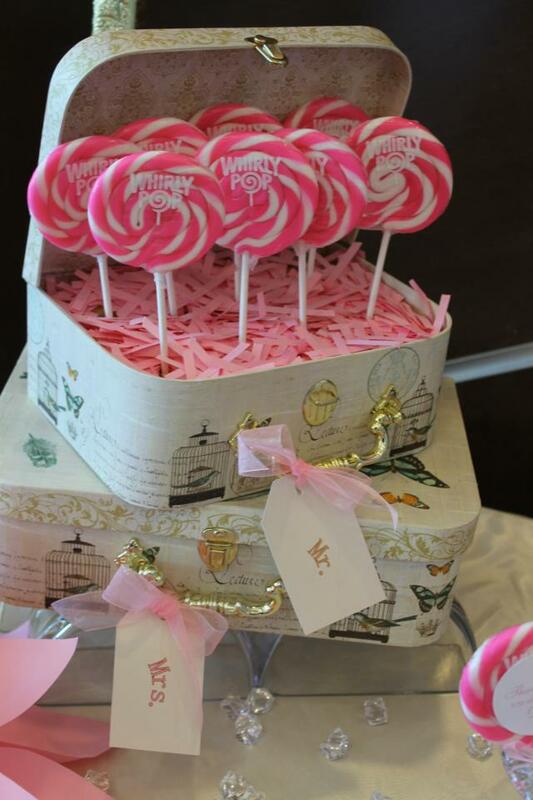 Okay, most people know that cakes and cupcakes make great accent pieces for a pink candy buffet. But cookies, cookies are the new hotness. You can get more creative with them than you can with the humble cupcake and they’re lower in calories to boot. Seriously, look at this tower of pink cookies from The Sweetest Occasion’s Sugarcoated Pink and White Candy Buffet. How appetizing do those look? Incredibly appetizing is the answer. See more at The Sweetest Occasion. A good table setting will help less look like more. Take these lollipops from Tasty Tables for instance. Don’t they seem plentiful and enticing? There are only eight of them, but it appears like there’s more because they’ve been displayed on tiered suitcases with confetti filling masking the empty space on the bottom of the cases. You should use this technique with your pink candy buffet. When you can’t afford dozens of lollipops or cake pops or whatever for your table, then you should display the few that you have in a large vessel with filler. This will make your buffet seem bigger and more appealing, which is a win-win for everyone. See more on Tasty Tables’ Facebook. You know what separates a pro pink candy buffet from a struggling amateur? It’s not the jars – it’s the labels. Seriously, adding custom labels and toppers to your buffet will make it appear more professional and a lot bigger than it really is. 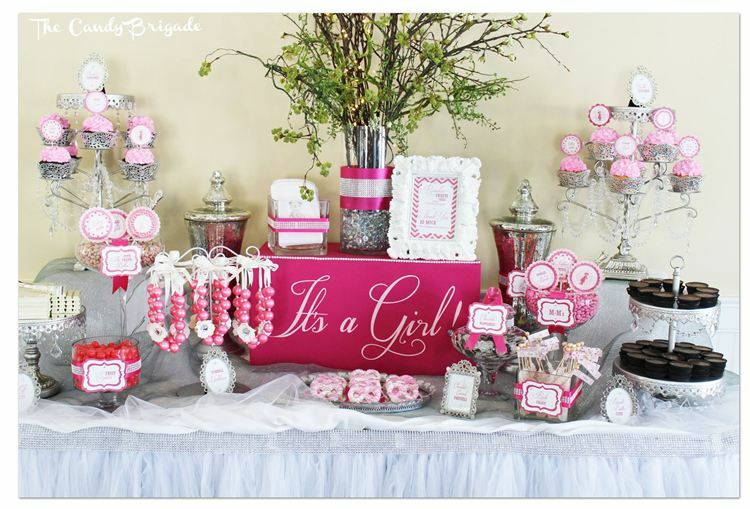 Case in point, take this baby shower buffet by The Candy Brigade. There’s not a ton of stuff on the table, but since it all has a label and a topper it seems full and appetizing. Considering that there are free label and topper sets available like, everywhere online, there’s really no excuse for not downloading a set to use on your table. Get on that, dude. See more at The Candy Brigade. Strawberries might be not be “pink” per say but as the Sweet Strawberry Party by Glorious Treats illustrates, you can still make this popular dessert berry work with your carnation-colored spread. If you’re concerned that your guests may reject something healthy then you can always cover them in white chocolate. See more pictures at Glorious Treats. What better centerpiece for a pink candy buffet than a ball of pink marshmallows arranged to resemble a ball of pink carnations? 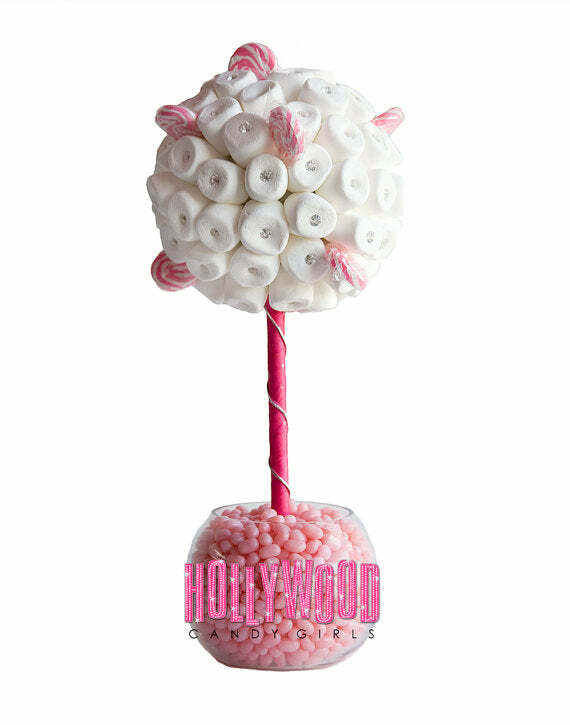 Centerpieces like this one from Hollywood Candy Girls are incredibly popular on Etsy and Pinterest right now. You can make your own by pinning a ball of marshmallows in a sphere around a cardboard tube and then planting that tube in a vase of pink candies. Or, you could save yourself some time and just buy your centerpieces straight from Hollywood Candy Girls. Either or, we don’t care. We’re not going to say pink candy buffets are overdone, but if they were a pot roast our fire alarm would have gone off two years ago. But just because everyone does pink doesn’t mean your spread can’t be special. Explore the potential of pink by incorporating some of these unique elements into your candy buffet. 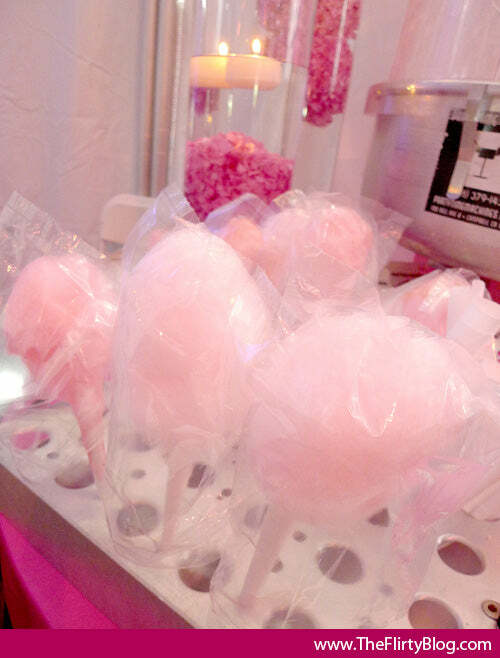 Not only will your pink candy buffet look cooler than your competition, it will taste better as well. 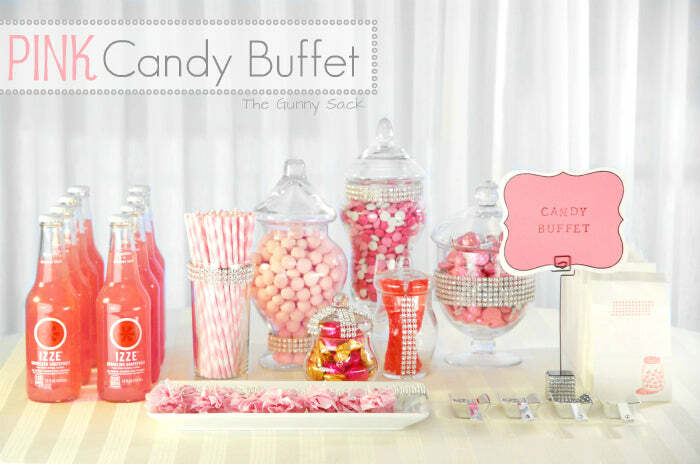 If you have any cool pink ideas that you think would work well in a candy buffet then let us know in the comments below! Otherwise, stop by next week for even more candy tips, tricks and recipes!